Since the start of the 21st century China has risen to the status of an important world power. 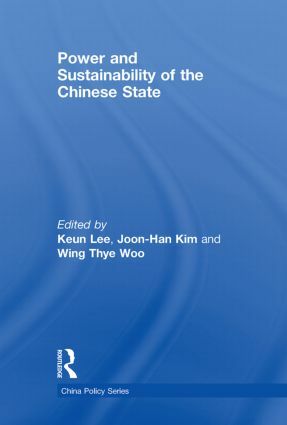 This book examines Chinese power, focusing in particular, although not exclusively, on its economic capabilities, and considering how this is likely to develop in the future. It provides a detailed assessment of the key facets of Chinese power today, including GDP, growth, multinationals, and technological and scientific innovation. It identifies the key trends in these areas, compares China’s experience with other important global powers such as the US, and considers how this is viewed by the Chinese themselves, including through the lens of their popular culture and mass media. It goes on to identify the foremost problems facing China and the Chinese state today, including fiscal management and public finance, poverty, inequality and rural development, and considers whether China is capable of overcoming these challenges and continuing its remarkable economic development. It addresses crucial questions such as the impact of globalization on Chinese power, and whether Communist Party rule is sustainable for the foreseeable future. Can the Communist Party sustain its rule in China?